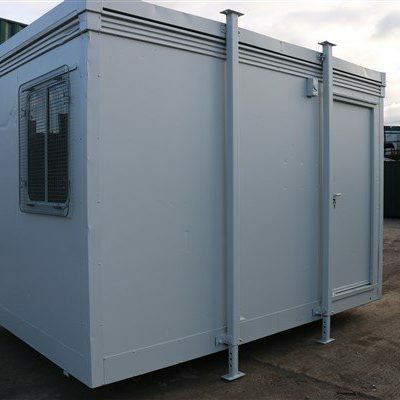 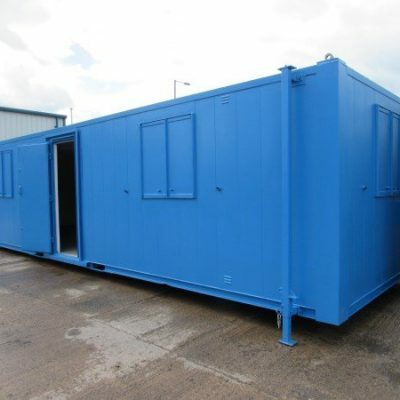 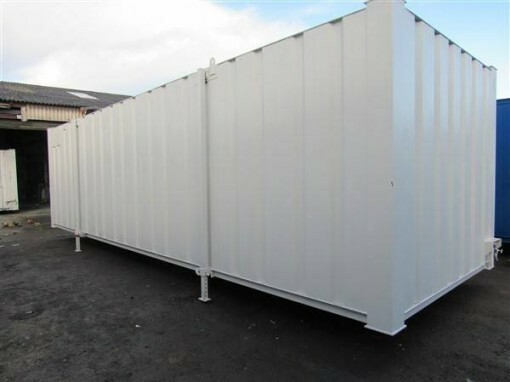 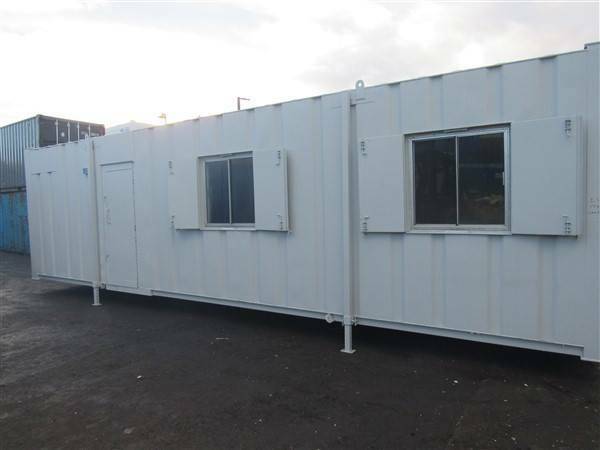 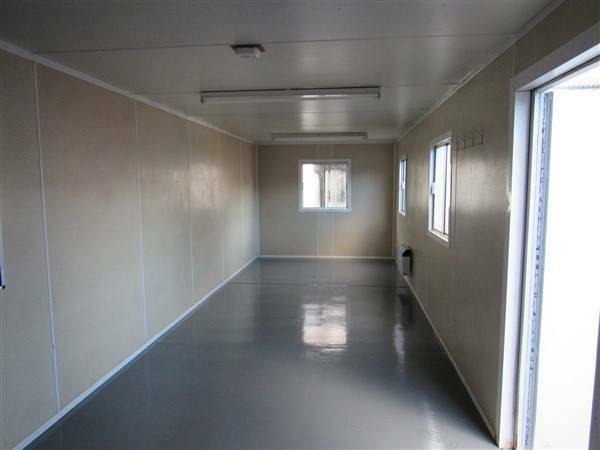 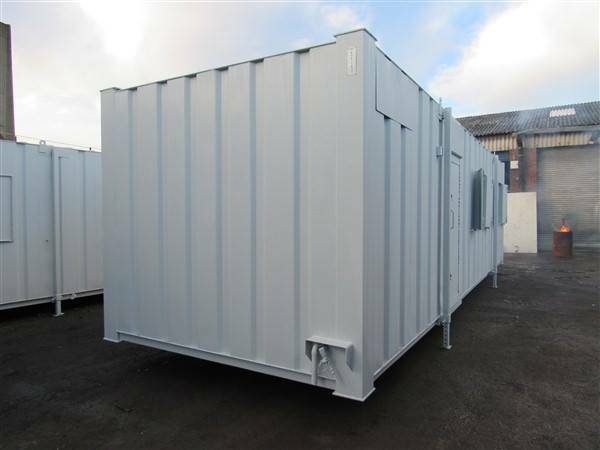 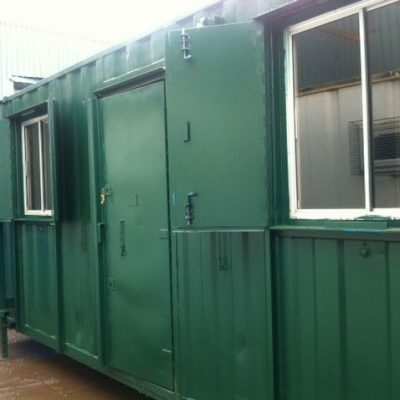 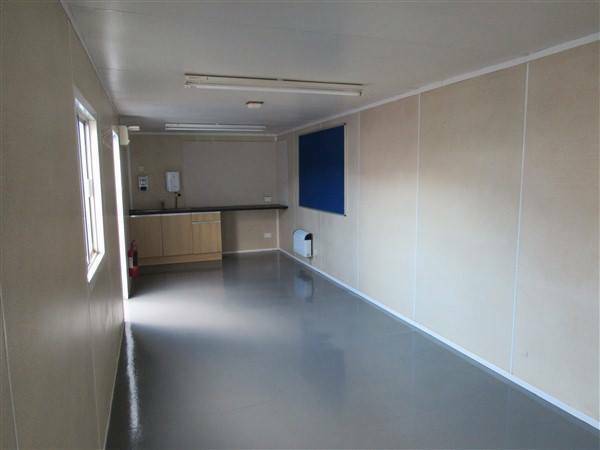 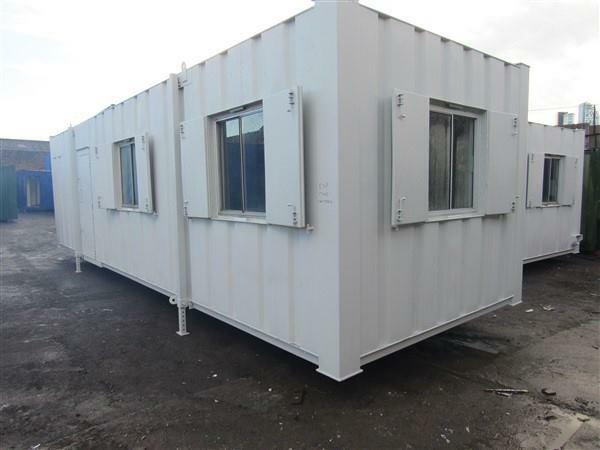 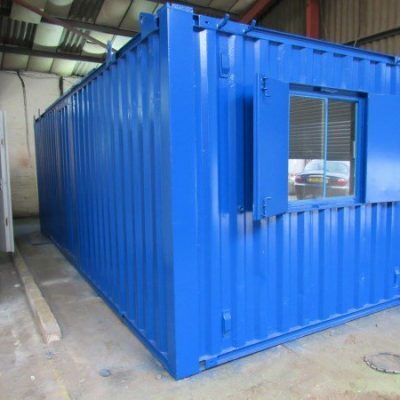 This unit is a 32 foot x 10 foot Refurbished Anti Vandal Canteen Cabin with an offset entrance door and four windows with steel shutters fitted . 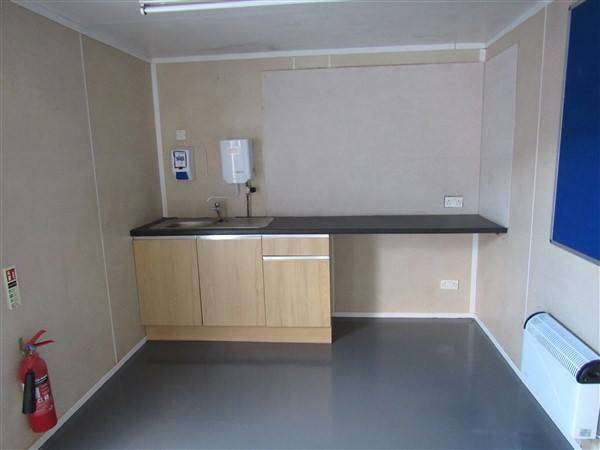 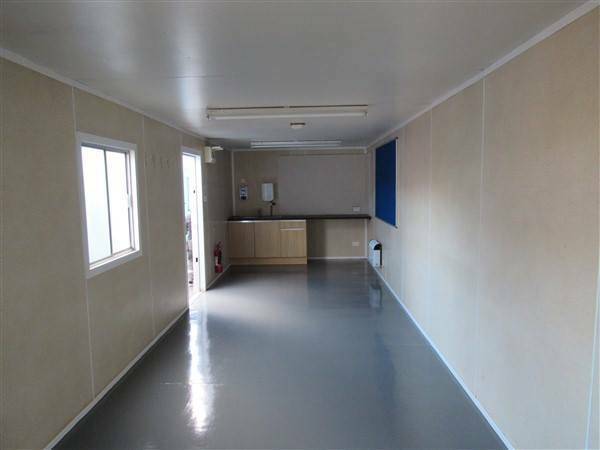 This unit is painted RAL 7035 grey and is fully open plan with a modern kitchen to one end.Cabin has electric heating, power sockets and lighting. 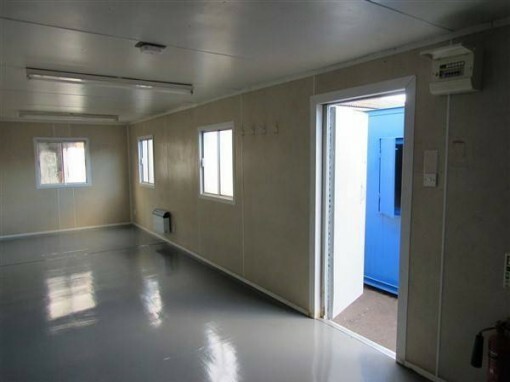 All work is completed and the unit is ready to go .